As a large percentage of the Asian Pacific Islander community consists of immigrants, the APALRC provides legal assistance on immigration and naturalization cases. Because of complex U.S. immigration laws, language barriers, cultural preferences and traditions, the APALRC helps immigrants access and navigate the U.S. justice system. The APALRC provides assistance in adjustment of status, consular processing, Deferred Action for Childhood Arrivals (DACA), Employment authorization, family-based petitions, Naturalization, Removal hearings, T visas, temporary Protected Status (TPS), U visas, Violence Against Women Act (VAWA) petitions. 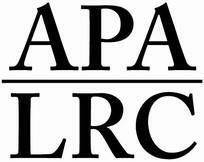 The APALRC has created individual projects to help specific groups of people. Reaching for the Dream Project: helps undocumented youth immigrants secure temporary deportation reprieve and employment authorization under President Obama’s Deferred Action for Childhood Arrivals program (DACA). New Americans Campaign: an area network of immigration legal providers assisting eligible legal permanent residents become naturalized citizens.